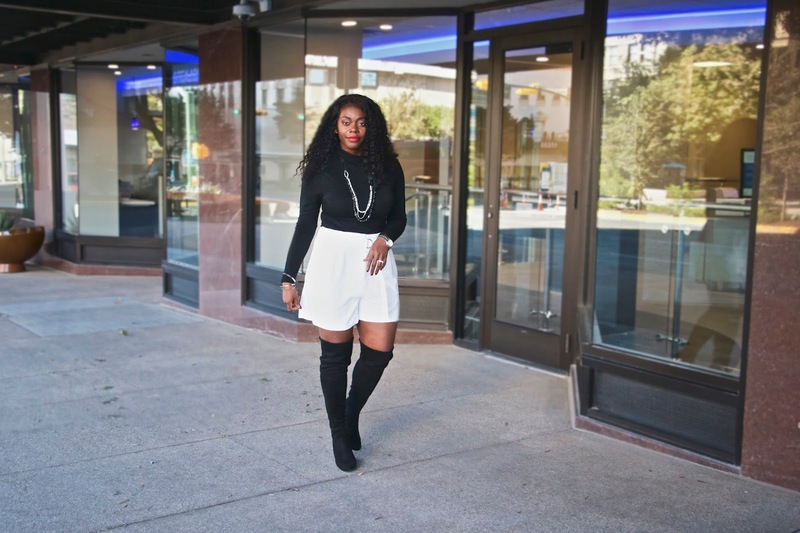 Hello Yvonne: STYLE: Shorts Into the Fall! 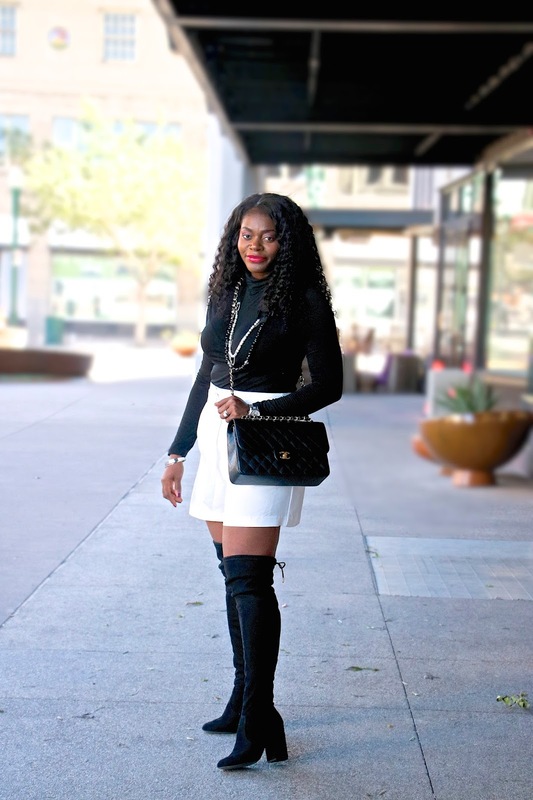 Sweater- H&M (Here), Shorts- H&M (Here), Boots- Steve Madden (Similar), Bag- Chanel, Necklace- Old (Similar, Similar). Hello and hope you had a lovely thanksgiving! Ours was nice and I was so happy to celebrate Ella's first thanksgiving. 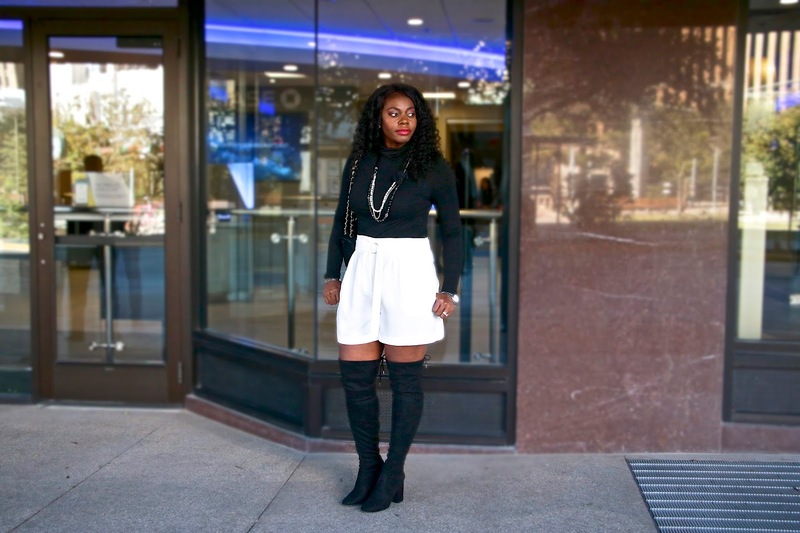 One thing that usually happens around thanksgiving is cooler weather. 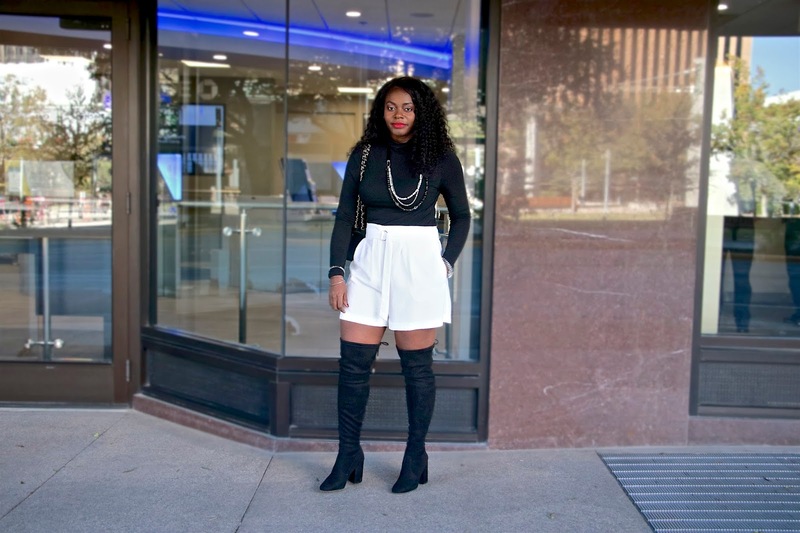 I got these high waist white linen shorts on sale and although I thought they would be good for vacation and warmer weather, I wanted to style them for fall as a transitional piece and did so by adding over the knee boots and a turtle neck sweater. I am having to size up as I am still with my post baby weight but thought the shorts are a great transitional piece which are forgiving. Thanks for stopping by!